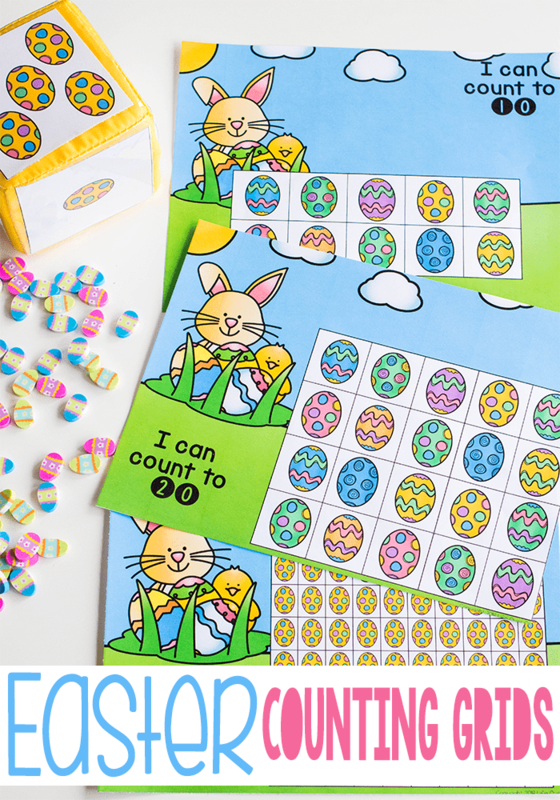 This fun printable Easter math game helps children with number recognition, counting, writing numbers, and so much more. 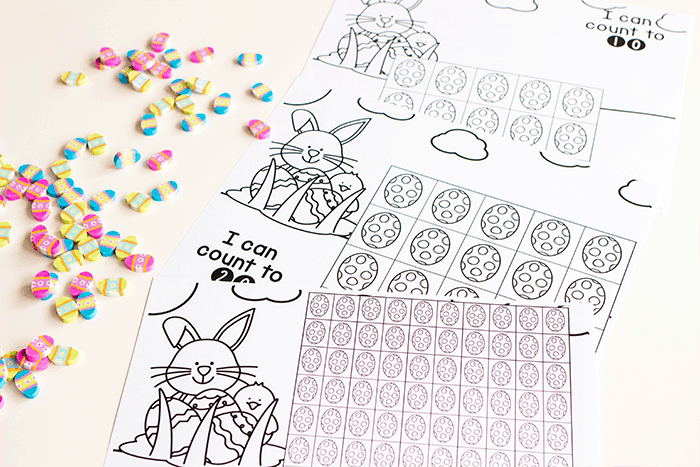 We use these printable grids along with some fun mini erasers that I picked up from Target. 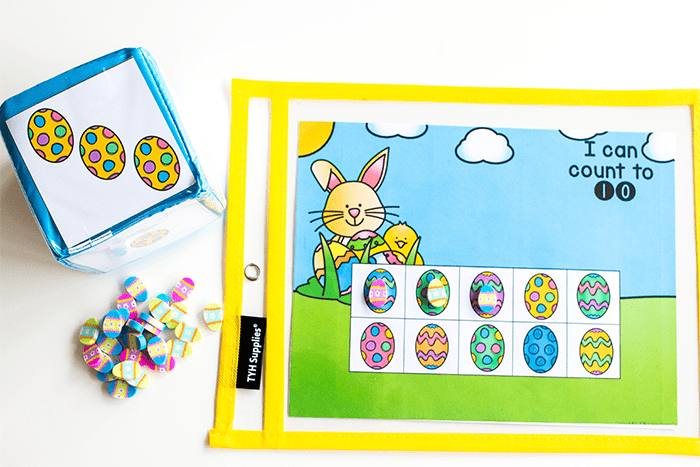 You could also use bingo markers, buttons, pom poms, or any other small math counter that you have on hand. I’m a huge fan of mini erasers, but I’m also a huge fan of using what you have on-hand. 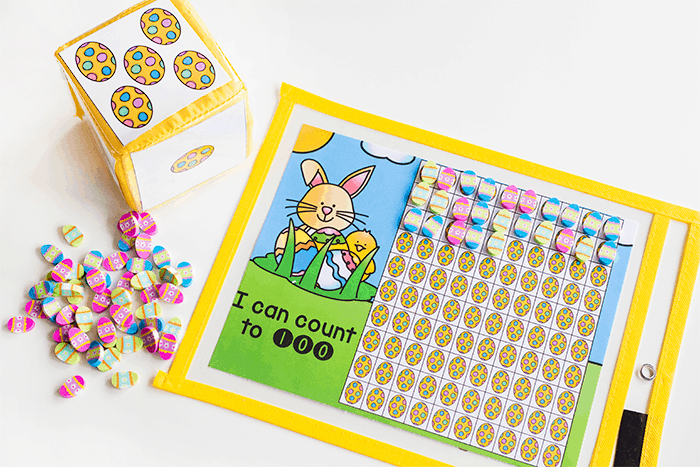 So you don’t have to make a special purchase just to enjoy these simple math games. After printing I usually laminate the sheets so that they will last longer. You can also use write and wipe pockets for a quick-prep activity. 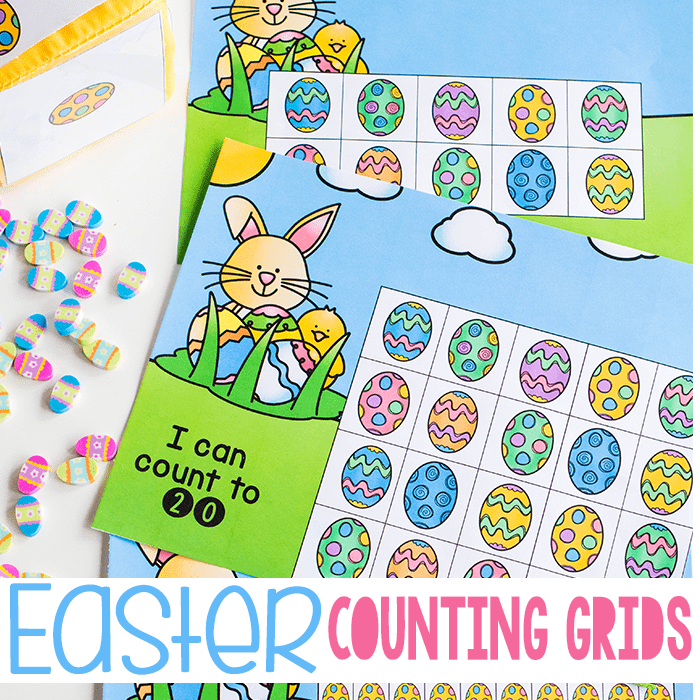 There is also a 1-6 set that works great with the counting to 20 and 100 math grids. 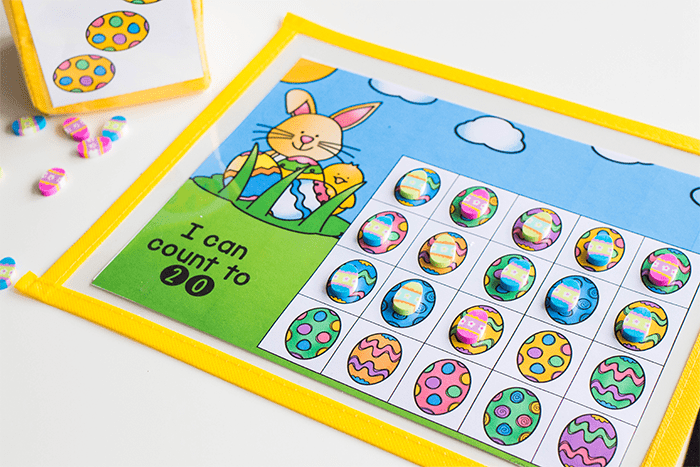 Subtraction can also be done in a similar way by first filling the counting grids and then removing the mini erasers as you roll the dice.